Medi Bomb #1 is an Indica dominant cross of Bomb #1 and a selected Dutch pharmaceutical strain. Medi Bomb #1 stays fairly short; around 70-100 cm and thanks to the Bomb #1 influence has great yield and a powerful punch, which gives an Indica dominant look to the plant. Short wide leaves that grow from small internodal points mean the overall effect is of a short/medium height, stocky and bushy plant. When ripening, Medi Bomb #1 will develop a very thick coating of dense white crystals covering the buds and upper leaves. Thanks to very high levels of CBD, Medi Bomb #1 has a strong calming effect, relaxing body and muscles. Medical users also report Medi Bomb #1 inducing a deep relaxing sleep combating insomnia and similar complaints. To maximise the resin production and get the best out of Medi Bomb, it is recommended that it be kept in total darkness for the last few days. 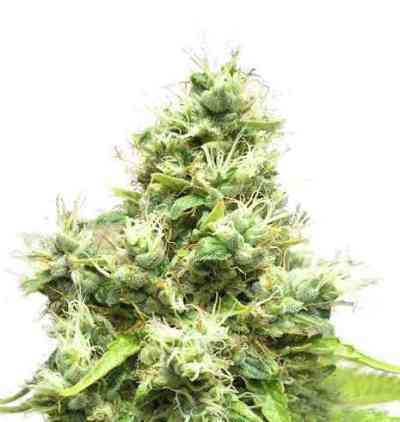 This strains yields are considered superb, the taste is a sweet and sour flavour, with a strong smell and pleasant smoke.